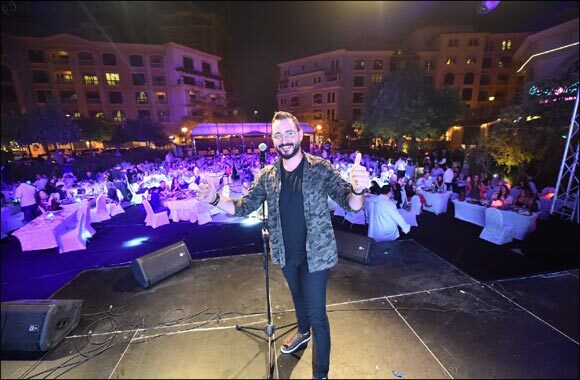 Doha, Qatar, October 21, 2018: 'AURA Hospitality & Food Services' organized last Thursday and Friday 2 open air events by the lebanese “Hadi wel Chabibeh” Band at Debs w Remman Restaurant. The group is also organizing another event next Thursday 25th October 2018 by the renowned iraqi singer “Noor El-Zein”. A lady violinist on high base will welcome the guests while singer Rita Sleiman alongside a Santur musician will be the main entertainment during the dinner, and the whole event will be hosted by Carla Haddad at the Orient Pearl Restaurant situated at the Corniche of Doha.